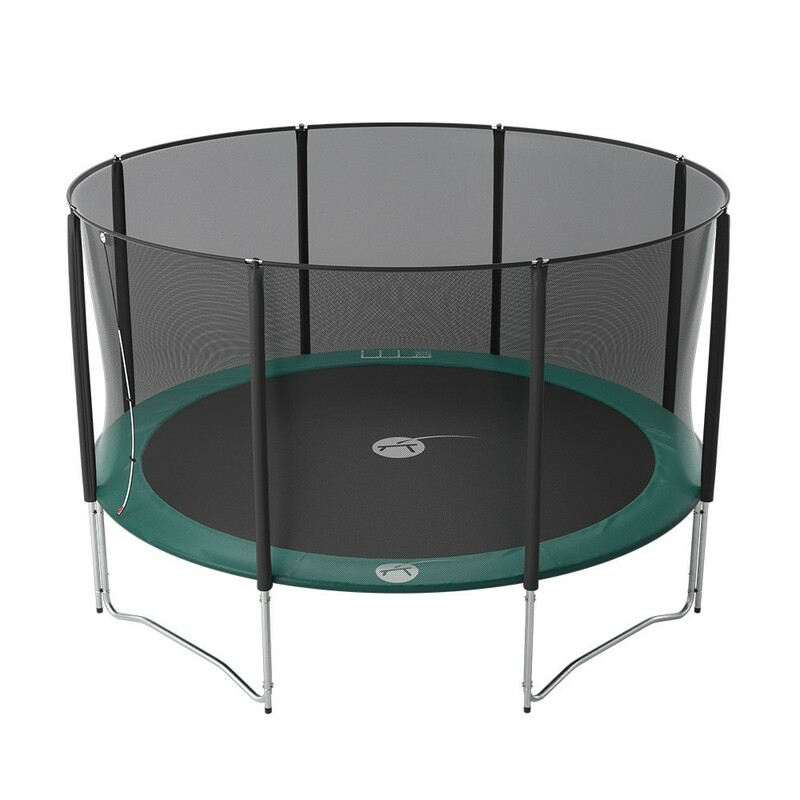 This dynamic trampoline, with springs of 180 mm in length is destined for family use. This large Jump’Up 430 trampoline with enclosure will provide your whole family with a safe play area. 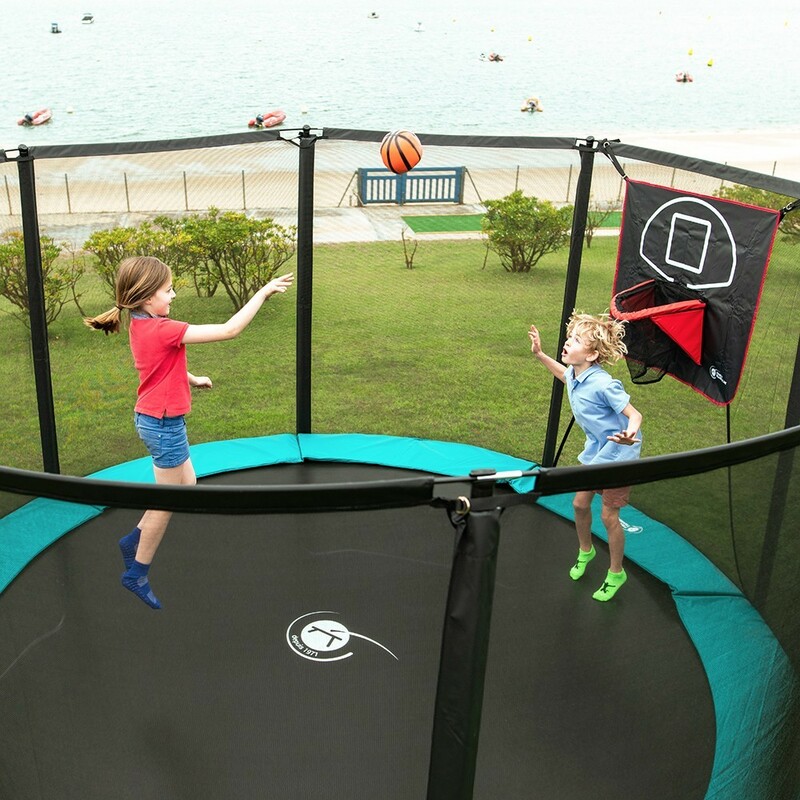 It meets all the standards for the Jump’Up range and withstands weight of up to 120 kg. 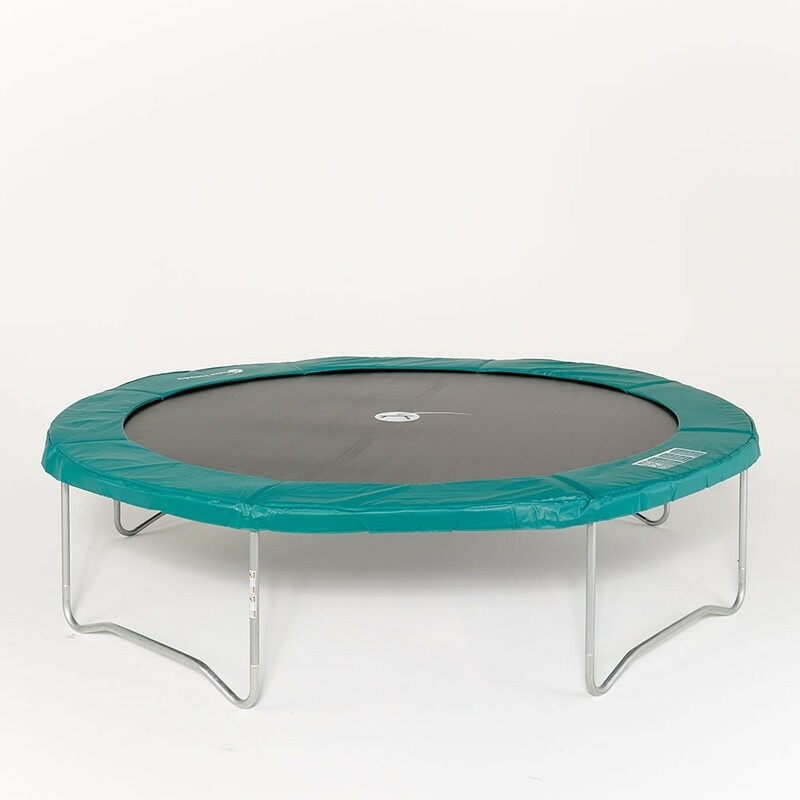 - This trampoline has a very dynamic bounce for children, as it has 88 springs of 180 mm. 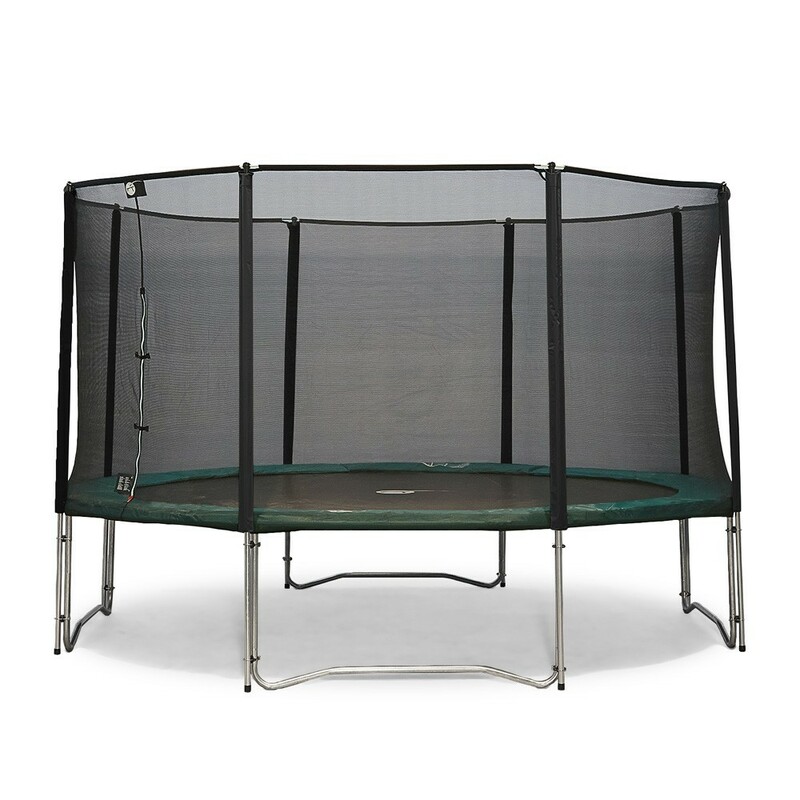 The same trampoline with smaller springs would not allow the same possibilities. - Its framework is made from hot-dip galvanized steel: it can therefore remain outside in all weather and your children can enjoy it through every season. The steel poles are 1.5 mm thick and have a 42 mm diameter. 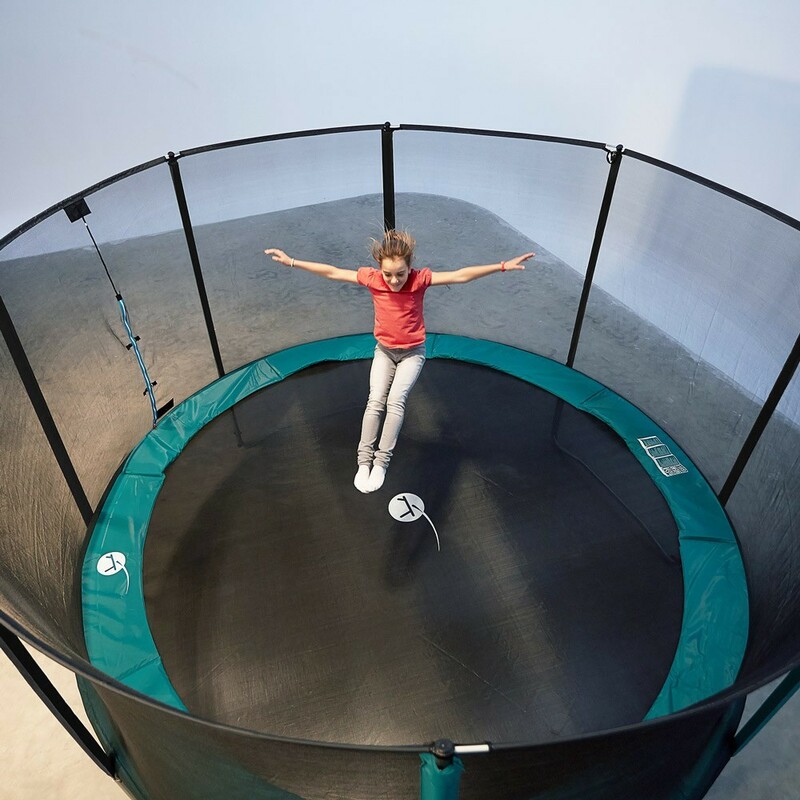 The T-junction components ensure a superior quality, in comparison to low-cost trampolines, where the components are often welded and the pole diameters are smaller. 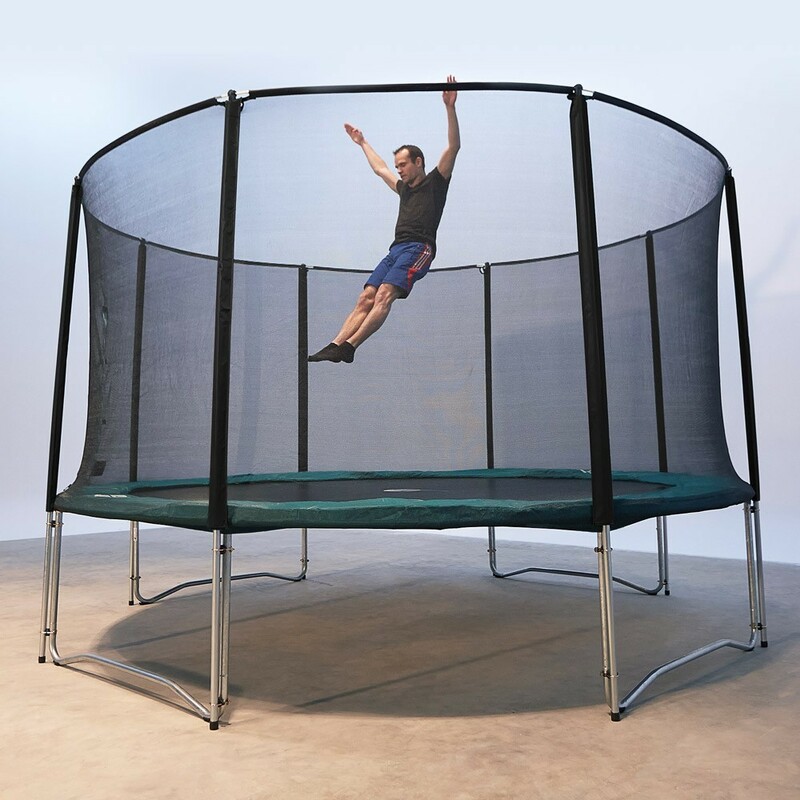 - The jumping mat has been strengthened using 8 rows of stitches and an extra renforcement strip: your trampoline will withstand extensive use, during many years. 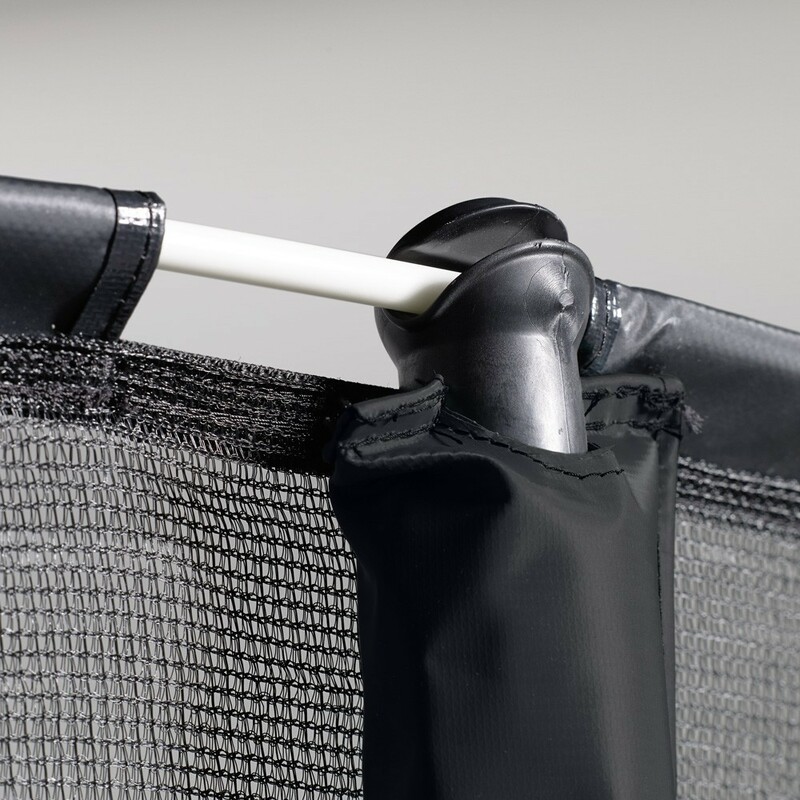 - The PVC covered frame pad is waterproof and very resistant, it covers the springs on your trampoline. 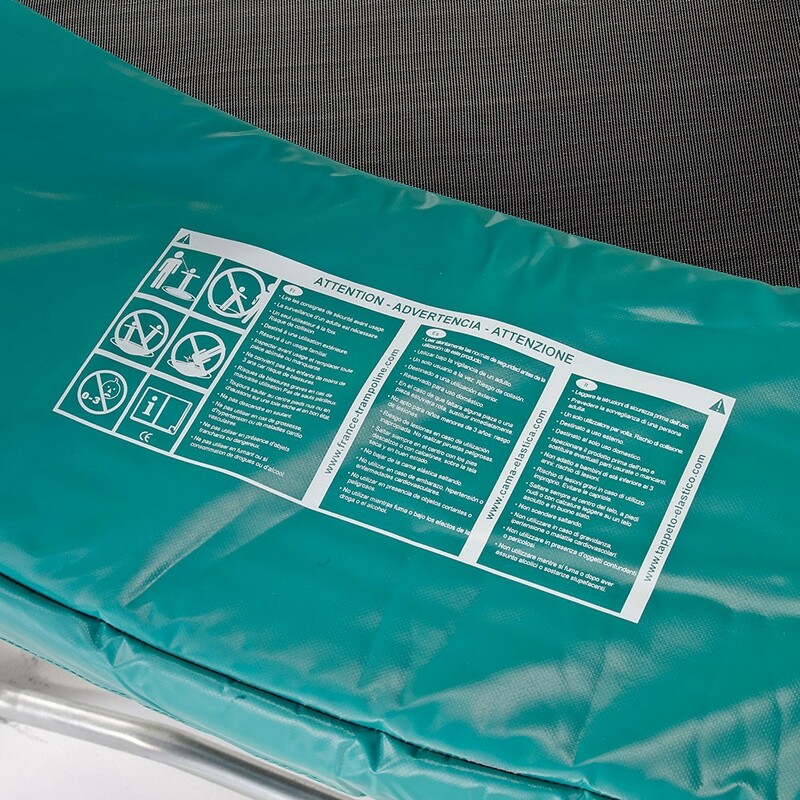 The EPE monobloc foam is 20 mm thick, it is however compact and absorbs falls better than the thin foam pads found on low-cost trampolines. 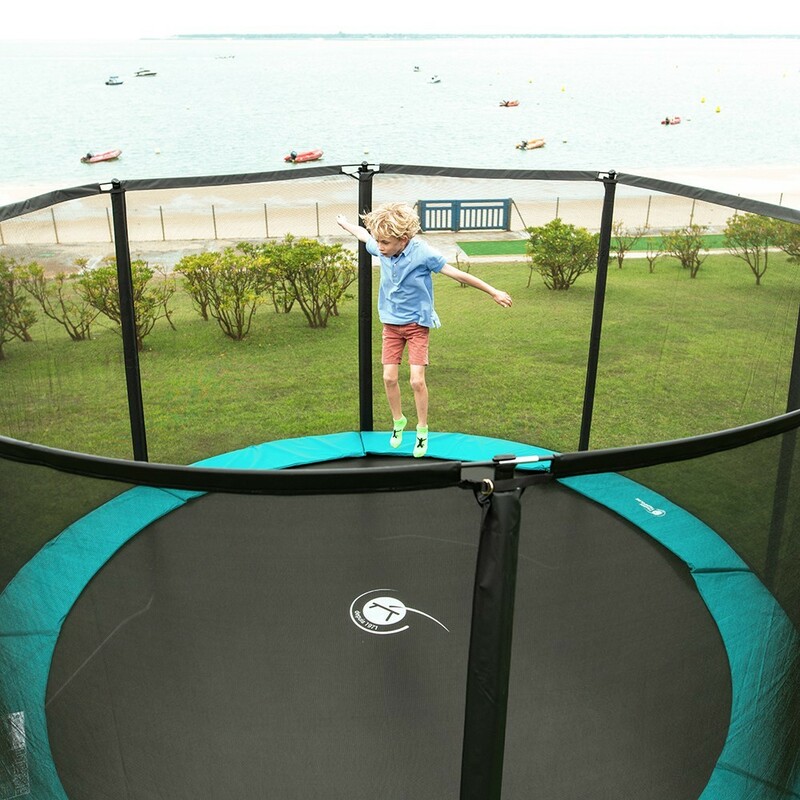 - The enclosure includes all the technical innovations that guarantee your children’s safety on a trampoline. Its thick and tight netting is held in place in two places, using nets posts of 38 mm in diameter, that go all the way down to the ground. The overlapping entrance prevents anyone from falling off the trampoline. Your enclosure will remain optimally stretched, due to the fibreglass rods which strengthen the edge of the net. The entire galvanized steel frame of your trampoline is assembled seamlessly thanks to our T-shaped joining parts, available exclusively from France Trampoline. Our goal: to guarantee maximal robustness and years of enjoyment. The safety net - a true body guard! 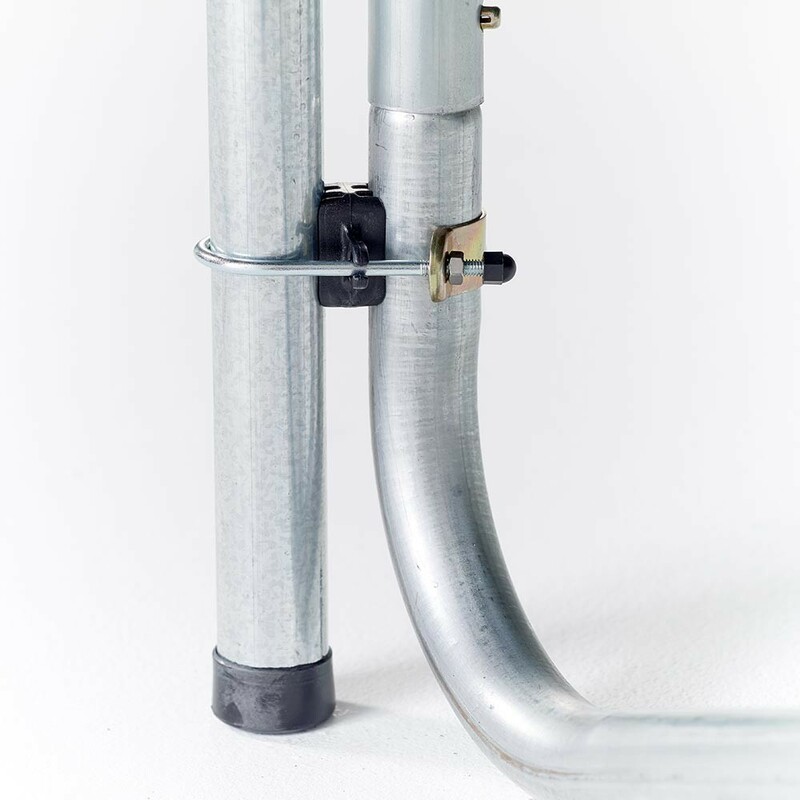 Its steel support tubes run all the way down to the ground, and held in place at the foot of the trampoline with mounting brackets, the 2 points of which are sufficiently spaced apart to ensure optimal stability. For excellent tension, the net is fixed with fiberglass rods. 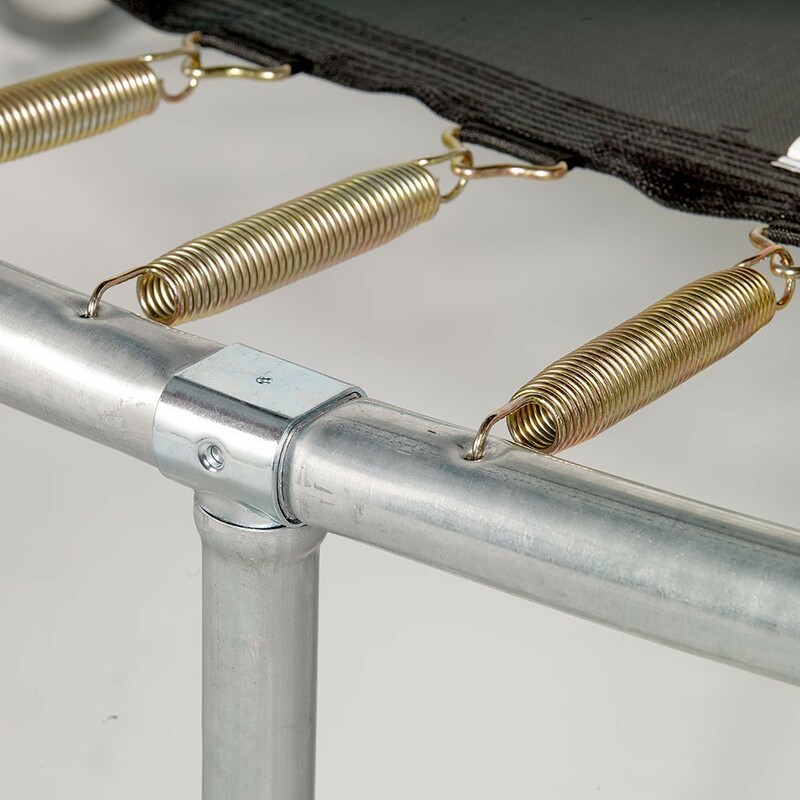 The original shape of the fixations of the jumping mat keep the springs from rubbing against any other part of the trampoline during jumps. 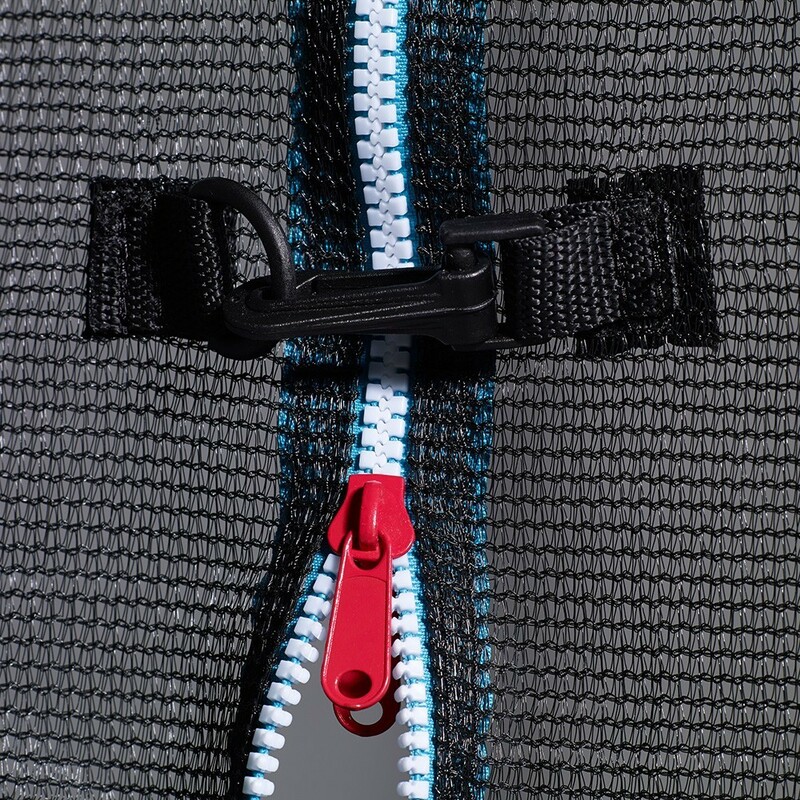 The fixings of your jumping mat are reinforced with 8 rows of stitches and a reinforcement strap to ensure maximal resistance. 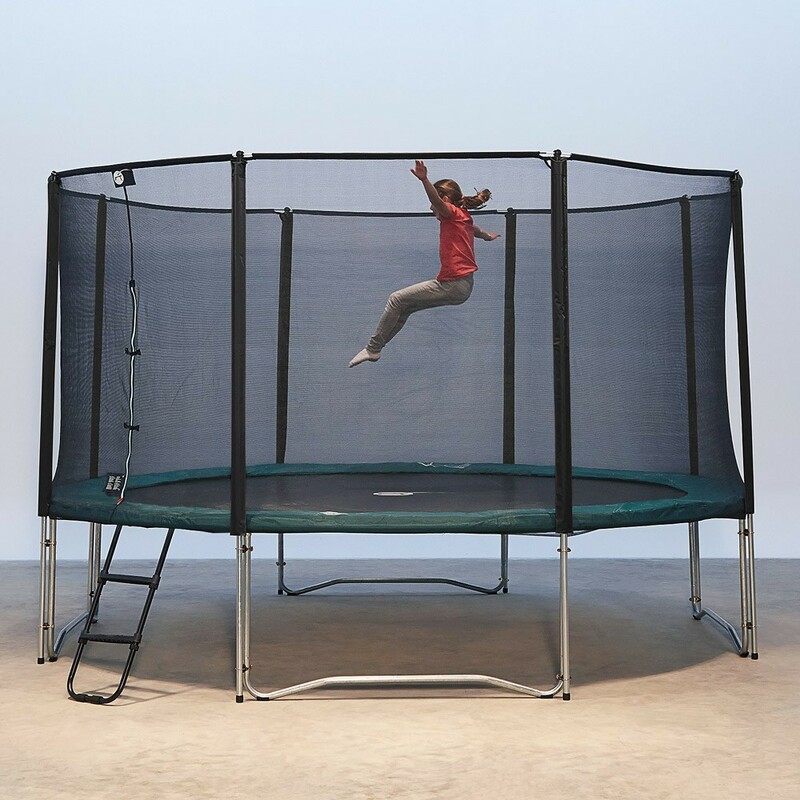 Our Jump'up trampolines, designed with the whole family in mind, offer unequalled comfort to users. Equipped with 180-mm springs, the Jump'Up offers dynamic jumps and comfortable landings. 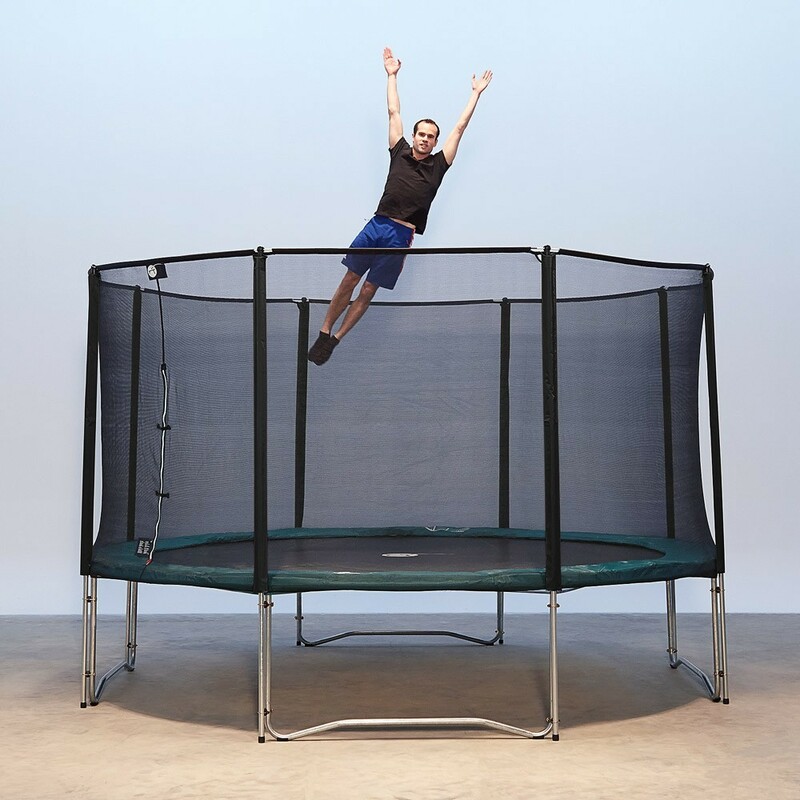 The Jump’Up 430 trampoline is available with a basic pack: trampoline , enclosure, ladder and anchor kit. Check out our Jump’Up 430 Maxi pack with everything you need to secure your trampoline. 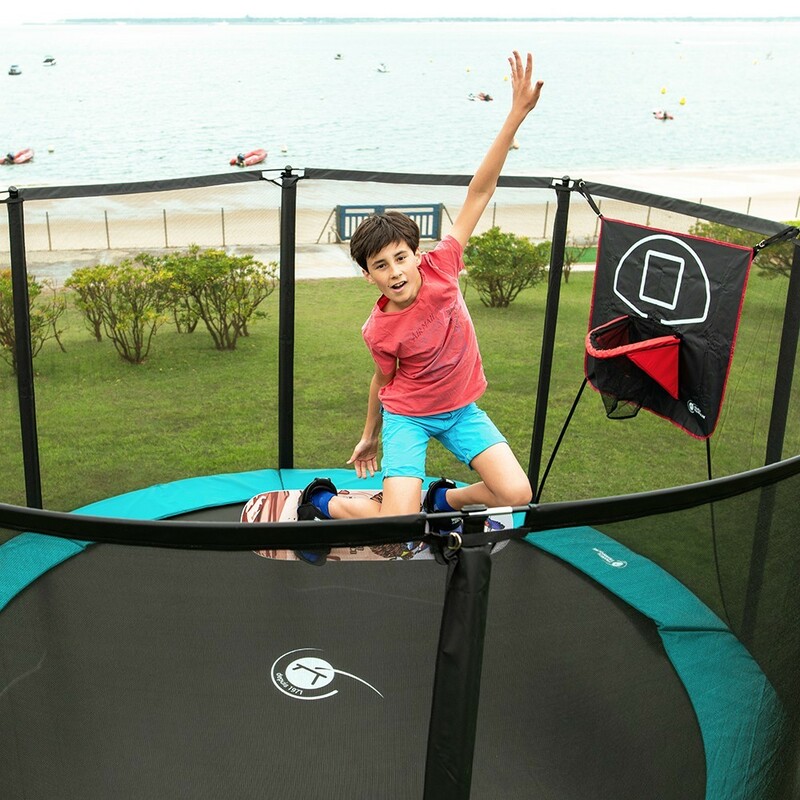 Provided with the trampoline, a safety enclosure, a ladder, an anchor kit and a premium protective cover, this family trampoline supports up to 120 kg. Bonne qualité, le guide de montage et la vidéo nous ont permis de le monter assez facilement.